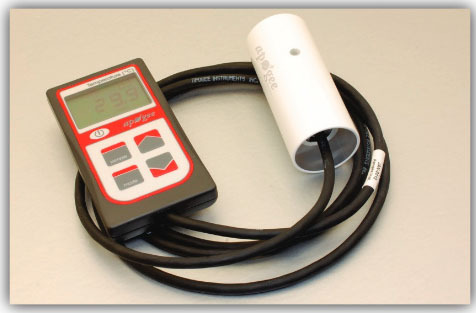 Apogee Instruments Infrared Radiometers (IRRs) measure surface temperature by converting thermal energy radiated from any surface in its field-of-view (FOV) to an electrical signal with a response time less than 1 second. Each IRR carries an impressive uncertainty of 0.3°C at 95% confidence to ensure accurate measurements. The resilient 8-14 µm germanium window corresponds to the atmospheric window in order to minimize the effects of water bands below 8 µm and above 14 µm. 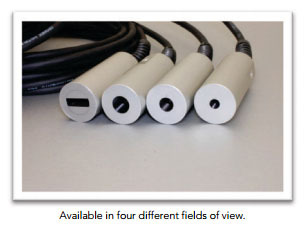 The radiation shield, included free of charge with every IRR, insulates your sensor from rapid temperature changes, thus reducing noisy measurements.